Welcome to DC, Senator Franken. “Today marks the beginning of a historic and revered process. As we pay tribute to the legacy of former Chief Justice Rehnquist, we see many of the qualities that marked his tenure of excellence mirrored in Judge Roberts,” Thune said. “Judge Roberts brings with him a brilliant legal mind and a profound respect for the Constitution and the Court. After numerous delays sought by the Obama administration, it is expected that a 2004 CIA Inspector General’s Report — aggressively questioning both the efficacy and legality of Bush’s interrogation tactics — will be released tomorrow. A heavily redacted version of that document was already released by the Bush administration in response to an ACLU lawsuit and it remains to be seen how much new information will be included in tomorrow’s version. In anticipation of the release of that report, there is an important effort underway — as part of the ACLU Accountability Project — to correct a critically important deficiency in the public debate over torture and accountability. So often, the premise of media discussions of torture is that “torture” is something that was confined to a single tactic (waterboarding) and used only on three “high-value” detainees accused of being high-level Al Qaeda operatives. The reality is completely different. The interrogation and detention regime implemented by the U.S. resulted in the deaths of over 100 detainees in U.S. custody — at least. While some of those deaths were the result of “rogue” interrogators and agents, many were caused by the methods authorized at the highest levels of the Bush White House, including extreme stress positions, hypothermia, sleep deprivation and others. Aside from the fact that they cause immense pain, that’s one reason we’ve always considered those tactics to be “torture” when used by others — because they inflict serious harm, and can even kill people. Those arguing against investigations and prosecutions — that we Look to the Future, not the Past — are thus literally advocating that numerous people get away with murder. We should never, as a policy, maltreat people under our control, detainees. We tortured people unmercifully. We probably murdered dozens of them during the course of that, both the armed forces and the C.I.A. Continue reading. The details are both important and staggering. Some of thus murdered by torture were totally innocent—for example, the member of the Afghan Army (on our side, you know) who was mistakenly picked up. That’s what Rick Hasen, the uber-election lawyer and blogger is predicting. Instead of ruling on Citizens United v. FEC, a case that questions the legitimacy of corporate funding that supported an anti-Hillary Rodham Clinton documentary released just before the 2008 primaries, the court on Monday ordered reargument of the case in September. The court will then have to decide whether to overrule two previous decisions that upheld limits on corporate spending in federal elections. 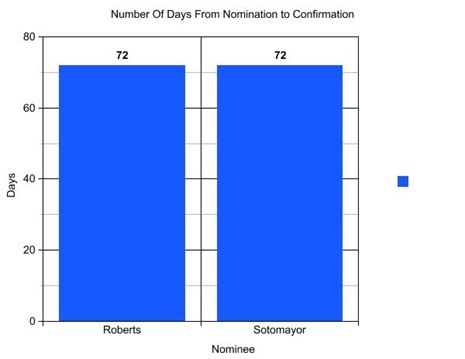 Given the dynamics of the court, there is a great chance the justices will use the opportunity to overrule limits on how much money corporations can spend supporting candidates—whether or not Judge Sonia Sotomayor is confirmed in time to hear the case in September. Jonathan Turley points to a resolution introduced by State Rep. Sally Kern (R) in Oklahoma, into a state legislature that flipped to the Republicans in 2008 and has become a petri dish for wingnuttery. I’m watching it now, thanks to Terry B., and it’s wonderful. It’s an entertaining history of the global warming controversy, but much more fun than that sounds. Watch it: Everything’s Cool. I think this is one that skeptics might enjoy, since it shows the ultimate source of their skepticism. The House’s passage of the Waxman-Markey bill raises the possibility that the United States will finally do something on global warming. This prospect has the industry hacks screaming at top volume about the horrible fate that awaits the economy. Everyone should know not to take them seriously, as I will explain in a moment. But a bad bill is almost certainly better than no bill. If Waxman-Markey doesn’t get through, it is very difficult to see another bill getting through this Congress. And there is no reason to believe that the Congress that gets elected in 2010 will be any less indebted to the corporate lobbyists. The coal and oil companies are greatly anguished over this prospective burden on American families, but let’s compare this burden to the burden posed by Iraq war levels of defense spending. Two years ago, the Center for Economic and Policy Research commissioned Global Insight to use its model to project the economic impact of Iraq war levels of military spending. They projected the effect on the economy of a sustained increase in defense spending equal to 1.0 percent of GDP, an amount slightly less than the increase sustained in the years following the start of the Afghanistan and Iraq wars. The model projected that after 10 years of higher spending, GDP would be down by about $17 billion from baseline levels. After 20 years (2021 if defense spending stays high), GDP would be down by more than $60 billion from baseline levels, approximately three times CBO’s projection of the cost of the Waxman-Markey bill. Of course, these projections don’t show the full loss to households, since they don’t include the money that must be diverted from taxes or obtained by borrowing to support the higher level of defense spending. These figures are just the lost output. In short, the economic harm projected from high levels of military spending is far larger than the damage projected from the Waxman-Markey bill. Given this situation, we would have expected that all the oil and coal industry folks, who are now so concerned about the average family’s well-being, would have been screaming about the economic pain that would result from sustaining the Iraq war levels of military spending.